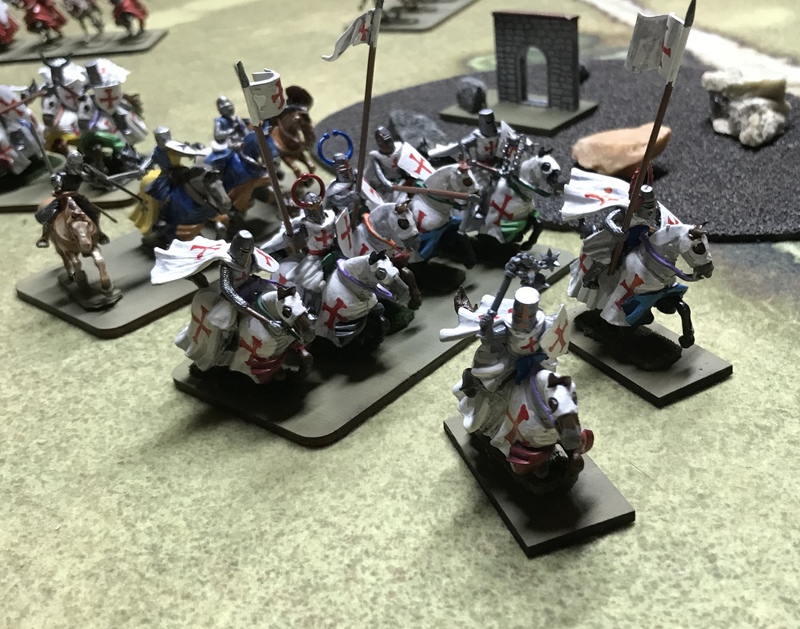 Well I have rejoined the Maine Historical Wargamer’s Association – MHWA and after a long break from socialized gaming I have jumped back in with both feet. I have applied to run 2 games. I am hoping to be accepted as a game master but there are a lot of talented gamers out there. The first is Legnano. If I get my first choice it will be a Day of Battle game the tile of which is the Battle of “Legnano“. This battle takes place min later medieval Italy. It pitches a large for of German and mercenary knights heading on a road to jpin their main army. The force is blocked by a highly motivated Italian City state militia army. This will be run for up to 6 players in 28mm scale. I have started to play test the scenario, here are a few pictures. I will post an after action report as another post.